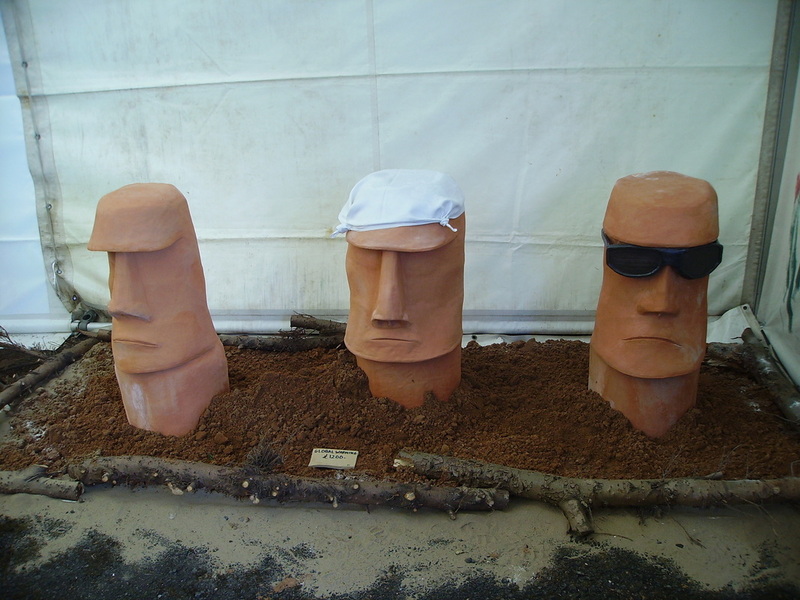 Our sculptures are generally made from stoneware paperclay. 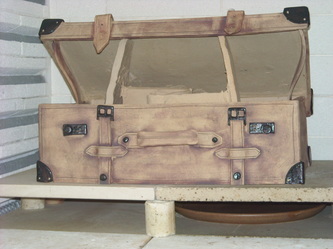 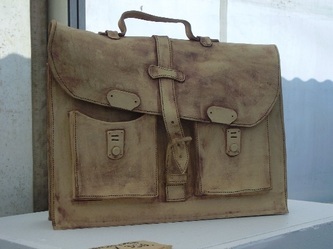 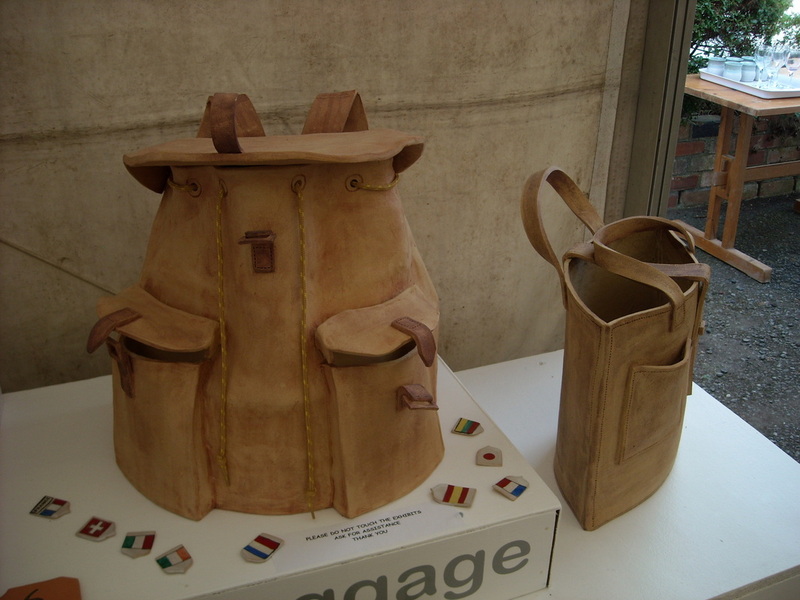 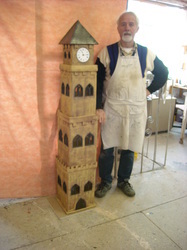 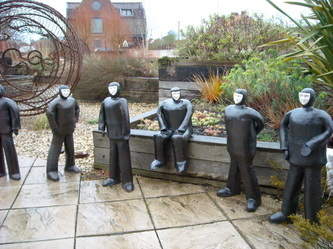 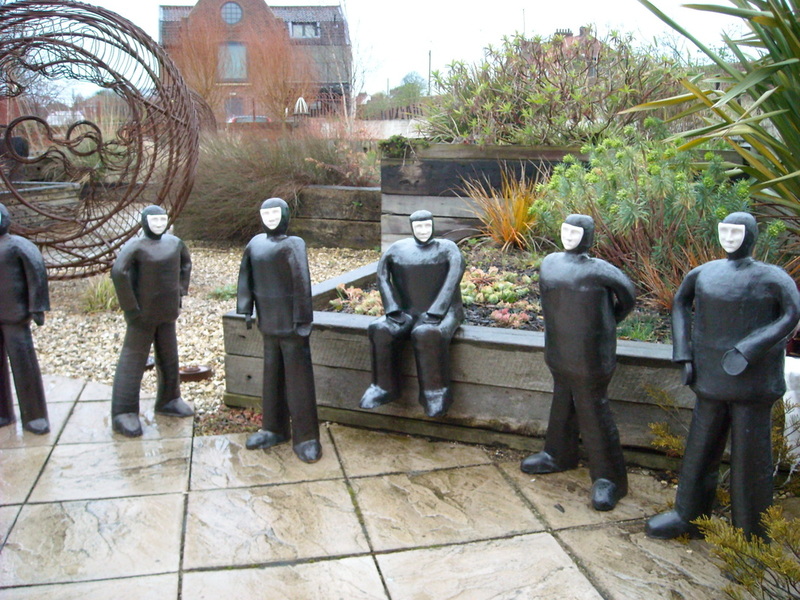 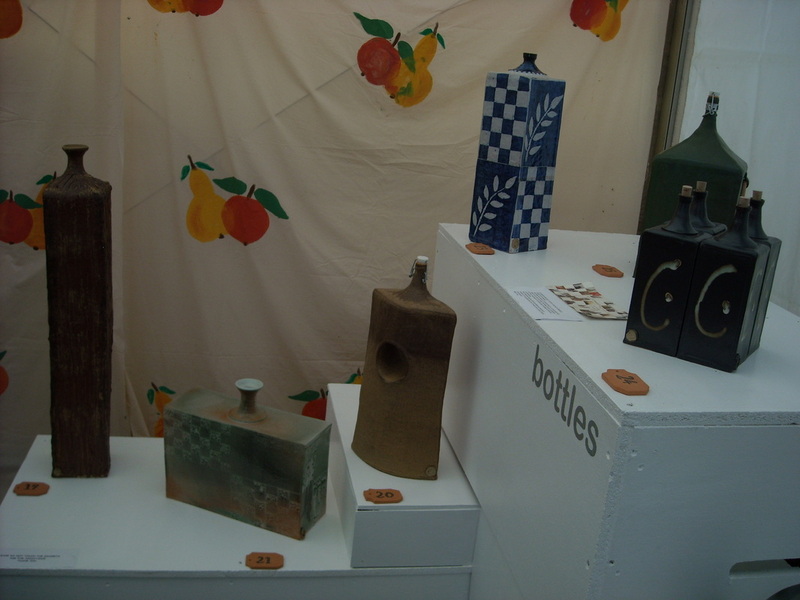 Although our bags and baggage are better known, we have worked on many themes and on garden as well as home sculptures. 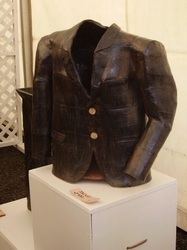 We are interested in exhibiting our sculptures in galleries and exhibitions and welcome any proposals. We still do accept commissions and have produced a guitar for a musician's retirement, a Gladstone bag for a doctor's retirement, a fire extinguisher for a fire equipment company amongst other unusual creations. 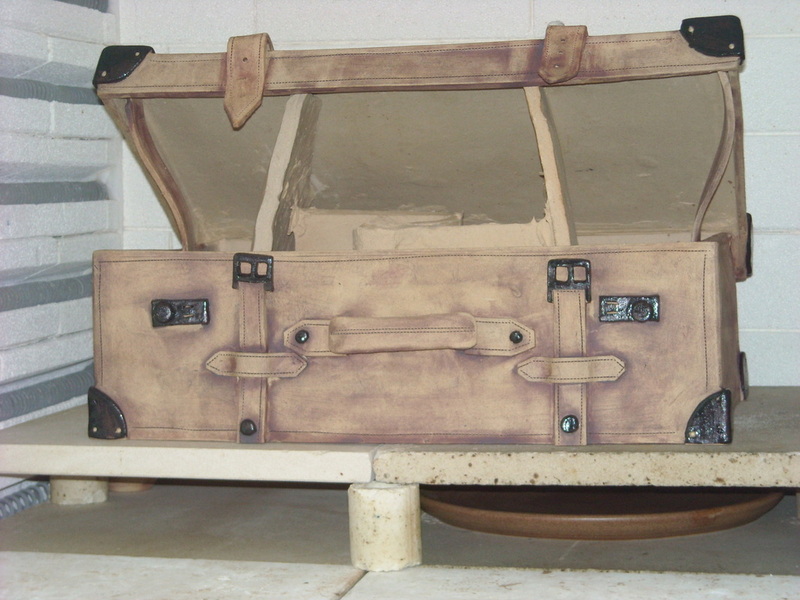 Contact us with your idea and we will tell you if we can make it and give you a quote. 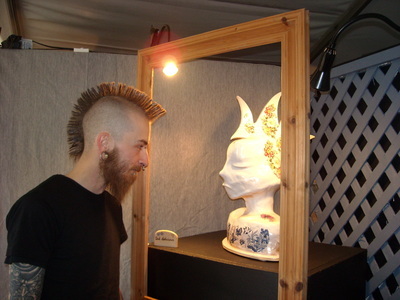 Not all the sculptures find a home at the shows. See our "Sculptures for sale" page.